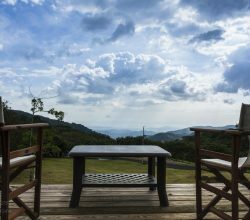 The cost of living in Costa Rica is a popular topic among those considering it as a retirement location or for those moving down with their family. Everyone wants to know how far their Dollar or Euro can stretch; which depends a lot on your life style. If you have an affluent lifestyle where you are from, you will also have that type of lifestyle here, just for a bit less. If you can live modestly using mostly local products, then you can save a lot. 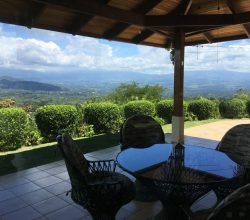 More importantly no matter what your spending habits are, the quality of life here is so much more than anything I experienced in the U.S. with beautiful natural scenery, pristine beaches, clean rivers and waterfalls, fresh fruits and vegetables, locally caught fish, and the “Pura Vida” laid back lifestyle. 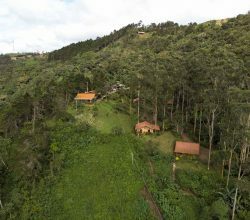 In this Blog I will attempt to portray some common expenses that the average retiree or person living in Costa Rica can expect. Food products and restaurants can be much less than the States or Europe and by how much really depends on how you live. If you eat out a lot and buy American or European imported food items it can be expensive by Costa Rica standards. However, if you buy local fruits and veggies at farmer’s markets and local food products at the supermarket it can be much cheaper. Also there are local restaurants called “Sodas” that have a daily “Casado” for $5 to $7; which is a typical dish of rice and beans, a salad, usually another side, and a choice of fish, thin steak, chicken, or pork. Even at high end elegant restaurants the prices are less than the same quality restaurant in a big city back home. Entertainment is also more affordable whether going out to the movies, a bar and night club, or even attending a play (mostly in San Jose). Although beers and drinks can be expensive, they are still less than what you are used to at a night club or bar. Many beachside bars around here offer a drink special for happy hour and to watch the sunset. Also there is tons of free daytime entertainment from hiking in the jungle to surfing or strolling local beaches. Plus once you are a local you can receive discounts on the tour activities such as: zip-lining, rafting, sport fishing, and more. Health care, even private health care is much cheaper here. When my wife gave birth to our last daughter it was around $3,500 for the C-section with doctor’s fees, medicine, and 1 night stay at the private clinic all included. Dental care is much more affordable, as well as, minor and even major surgeries. Medical Tourism is a becoming a very popular trend in Costa Rica with World-Class medical facilities like CIMA, Clinica Biblia, or Hospital Catolica in San Jose. More and more foreigners are coming to have plastic surgery, dental implants, and all types of joint and even back surgery at a fraction of the cost. Then the patient can recover in a lush tropical resort close by and be attended to their every need. Services like house cleaning, gardeners, and cooks are also very affordable at $2 to $4 per hour. 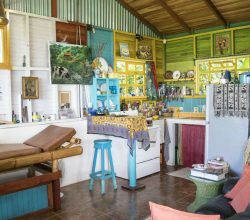 You can afford to have a full time employee in order to spend less time on household chores and more time enjoying life in paradise. Cars and electronics like TV’s and cell phones are all much more here because of import taxes associated with them. Diesel and gas at $5.50 to $7 per gallon respectively, along with car maintenance will be one of (if not) your biggest expenses here. The mechanics are reasonable and parts are comparable in price, but there is more wear and tear on vehicles here depending where you live and what kind of road access it has. A good 4×4 SUV or truck is the way to go and most people prefer diesel engines for better fuel efficiency and price at the pump. Property taxes are 0.25% of the registered property value, so for example a $100,000 house or property pays $250 per year in property tax. There is a fairly new luxury home tax for homes over $200k and that is about $2,500 to $3,000 per year. Additionally a new annual corporation tax implemented in 2012 is equal to approximately $180 for inactive corporations and $360 for active corporations. 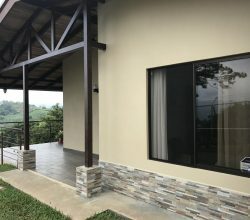 There is currently no capital gains tax in Costa Rica; which is beneficial when selling personal property investments. 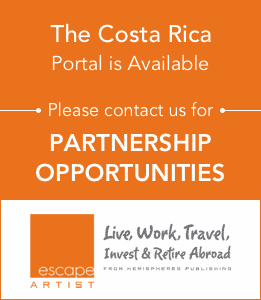 Costa Rica and specifically the Dominical area is a great option to retire or raise a family. The lower cost of living and much higher quality of life make this a place to truly consider for your next full time or part time residence! !